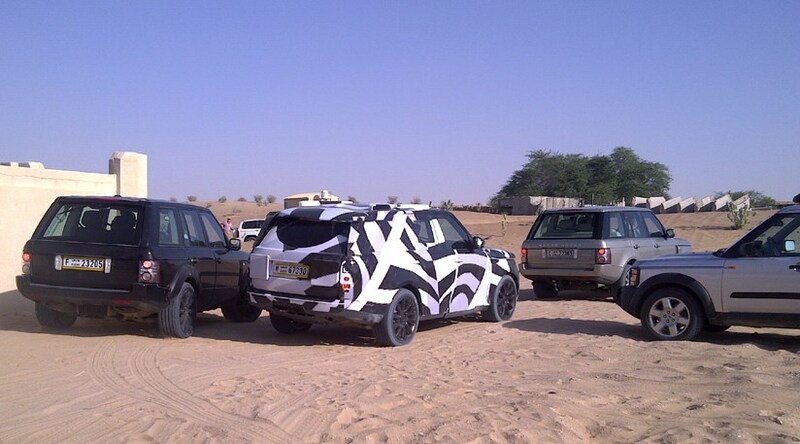 CAR reader Paul Gallagher spotted the new 2012 Range Rover in an interesting location: the deserts of Dubai. Yes, yes - we know we've been inundated with scoops of the new Range Rover. Hardly surprising, since the car is being developed at Land Rover's global HQ in Gaydon, Warwickshire. But this scoop is heartening to anyone worrying that Land Rover may lose some of its off-road focus; these reader spy shots suggest the 2012 Rangie will be as tough as ever before. Well done Paul, and thank you for sharing these shots with CAR readers. So when will we see the new 2012 Range Rover? We're only about six months away from seeing the new Range Rover revealed in the metal. Land Rover is preparing for an unveiling in summer 2012. This is a once-a-decade techfest for Land Rover, and we expect the new Range Rover to showcase all the latest engineering know-how from the Tata-owned 4x4 specialist: the new architecture will be aluminium intensive, there will be more interior space, the same focus on upmarket cabin appointments and a suite of upgraded V6 and V8 engines will provide the power - with a hybrid electrified powertrain to follow. Remember anyone can submit reader spy photos to CAR Online by scrolling to the foot of each article page and following the instructions.